The series Meadows (for LKG, UKG and Classes 1 to 5) is a semester series, comprising of 14 books, one for each semester (two for each class). It is in strict accordance with the guidelines of the National Curriculum Framework (NCF) for Pre-primary and Primary Classes. NCF suggests that the children's life at school must be linked to their life outside the school, so that the gap between the school, home and community can be bridged. In this series, the complete course for each class has been divided into two Semesters – Semester 1 and Semester 2. 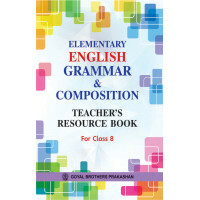 In classes 1 and 2, each book includes English, Mathematics, Environmental Studies and General Knowledge. In classes 3, 4 and 5, each book includes English, Mathematics, Science, Social Studies and General Knowledge. The contents have been presented in an exciting, simple and child-friendly format. It is based on the tried-and-tested educational philosophy of moving from the known to unknown. It is also enriched by a variety of illustrations, photographs, diagrams, maps, etc. Cooperative learning activities and various games make the learning process fun for the pupils and ensure an all around development of the children. Revision Tests are also given for revision. This section offers a rich communicative environment. A variety of genres -- stories, poems and drama help develop all language skills( Listening, Speaking, Reading & Writing) in students. All the lessons are carefully selected to provide an all round learning experience and help them to master all the four skills of English Language Teaching (ELT). It also contains a separate Grammar section which endeavours to teach the basics and intricacies of English Language scientically to meet the needs and requirements of the young learners in a fun-friendly way. In this section the content is presented in such an interesting and comprehensive manner that even an average child has no difculty in grasping the fundamental concepts of Mathematics. While developing the content, step-by-step approach, to consolidate understanding of new concepts have been used. The content will help in laying a solid foundation which will stand in good stead to the students in future. The EVS section in the books for Classes 1 and 2 contain a series of topics from the learner's surroundings. This section comprises interesting activities with colourful illustrations, photo features. The activities related to drawing and colouring sustain interest in the concepts learnt in the text. This section attempts to lay a rm foundation and provides the young learners the maximum exposure to scientic knowledge. The Science section offers a series of chapters written in simple language, richly illustrated with diagrams, examples and activities for application of concepts discussed in the text. This section adopts a practical approach to the study of science with emphasis on student's own active participation. The section on Social Studies opens up to learners basic facts and rudimentary knowledge of History, Geographical features and governance. This would help instil in them a civic sense and equip them with necessary knowledge to make them responsible citizens. This section offers a variety of information that will lead to the all round development of students. Topics covered in the section have been carefully graded in order to arouse the curiosity of young learners about their immediate surroundings. Rise & Shine An Integrated Semester Course For Class 4 (Semester 2)..
Anupam Hindi Vyakaran Tatha Rachna Bhag 1..